This morning I was so tired, I couldn’t physically get out of bed. It took a few Mini shaped screeches before I could tear myself limb by aching limb out from under the oh-so-snug duvet and into her darkened bedroom. The past few days have been tough-Mini has chosen the crankiest of cranky pants to compliment her every outfit. It’s a combination of teeth, the remnants of that nasty stomach bug that has been doing the rounds and a possible early introduction into the fearsome terrible twos. Her communication skills have encountered something of a setback too, I feel. Whereas before she was using her sign language, she has now resorted to a lot of screaming and gesturing. It’s a very frustrating time for both us as parents and for her as she just can’t seem to get her basic needs and wants across. She was finally called for an appointment at the Audiology clinic today to assess her hearing. We have been waiting for months upon months to see them. 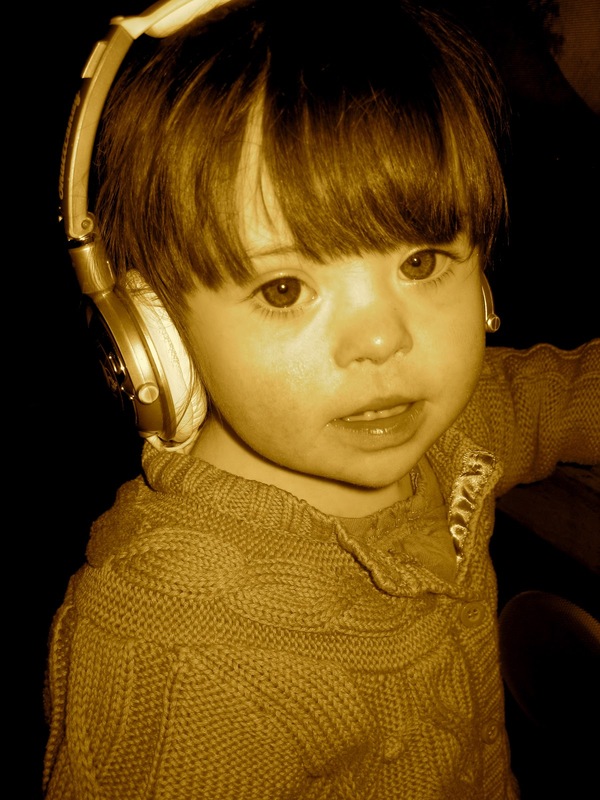 Children with Down syndrome are supposed to be seen by specialists every 6-12 months due to the fact that hearing loss is often associated with the condition. It hasn’t happened in Mini’s case, and I imagine it’s the same for many other kids with special needs due to the grim world we live in where bailing out wreckless bankers super cedes the needs of the most vulnerable in our society. The specialist was a lovely man but not even his pleasant demeanour coupled with the gentlest of Scottish accents couldn’t soften the blow that Mini failed the test and seems to have some hearing loss. He was quick to point out that this could be due to a fluid build up in the middle ear, which is common in kids with Down syndrome, rather than nerve damage which would have been ruled out with the newborn hearing test that was conducted shortly after Mini was born. We won’t know for sure until she meets with the Ear, Nose and Throat specialist at the hospital. So there we go, another referral, another appointment, more worry. I’m trying not to worry and instead find the energy to stay positive and keep going. It is truly exhausting sometimes and I hope tomorrow will bring a better day to haul my frazzled body and mind out of bed for. Thanks hon-we already have an amber necklace but it has no catch on it. Must get on to finding one-there was a lovely little bead shop in Galway that catered for all one's homemade jewellery needs but it has sadly closed down.